The International Baccalaureate (IB) aims to develop inquiring, knowledgeable and caring young people who help to create a better and more peaceful world through intercultural understanding and respect. These programmes encourage students across the world to become active, compassionate and lifelong learners who understand that other people, with their differences, can also be right. At the heart of the IB is the “learner profile”, a long- term, holistic vision of education that underpins all three programmes and puts the student at the centre of everything we do. The learner profile is the IB mission statement translated into a set of learning outcomes for the 21st century. 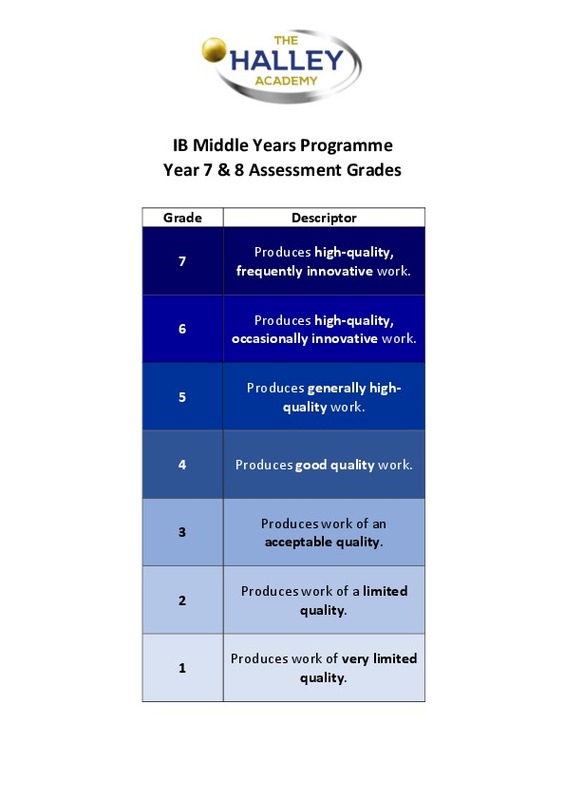 The International Baccalaureate® (IB) Middle Years Programme (MYP) emphasises intellectual challenge. It encourages students to make practical connections between their studies and the real world, preparing them for success in further study and in life. The MYP aims to develop active learners and internationally minded young people who can empathise with others and pursue lives of purpose and meaning. The MYP curriculum is organised around a rigorous and thorough study of eight traditional subject areas, including Language and Literature (English) and Language Acquisition (French or Spanish). Please click here for a copy of the presentation from the Year 7 Curriculum Evening held on Thursday 18th October 2018.